Denny's goes with kale and berries this summer with a number of new menu items showcasing one and/or the other, including the new Chopped Kale & Grilled Chicken Salad, which features both kale and cranberries. 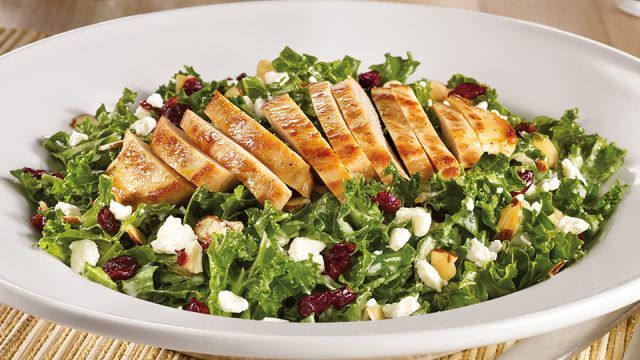 - Chopped Kale & Grilled Chicken Salad - Grilled seasoned chicken breast, feta cheese, dried cranberries, and honey roasted sliced almonds on top of chopped kale and served with Denny's Sweet & Tangy dressing. - Strawberries & Cream Pancake Breakfast - Two buttermilk pancakes filled with white chocolate chips, topped with vanilla cream and fresh strawberries. The pancakes also come with two eggs, hash browns, plus a choice of two strips of bacon or two sausage links. - Lemon Berry Smoothie - The flavors of blueberry and lemonade blended together with nonfat yogurt. - Berry Blue Lemonade - A blend of blueberry and lemonade that's also garnished with blueberries. 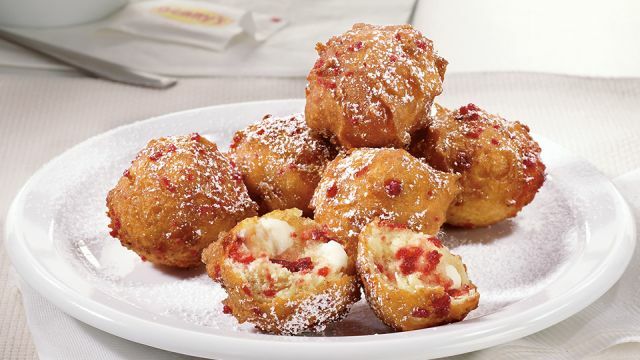 - Strawberry Pancake Puppies - Six bite-sized round pancakes made with strawberry and white chocolate chips. They're topped with powdered sugar and served with a side of cream cheese icing. - Chopped Kale Superfood Side - a smaller portion of the Chopped Kale & Grilled Chicken Salad minus the chicken.